Sarah, the cutest girl in the world, works at the cutest crepiere in the world: a tiny, pleasing operation on Alberta street. 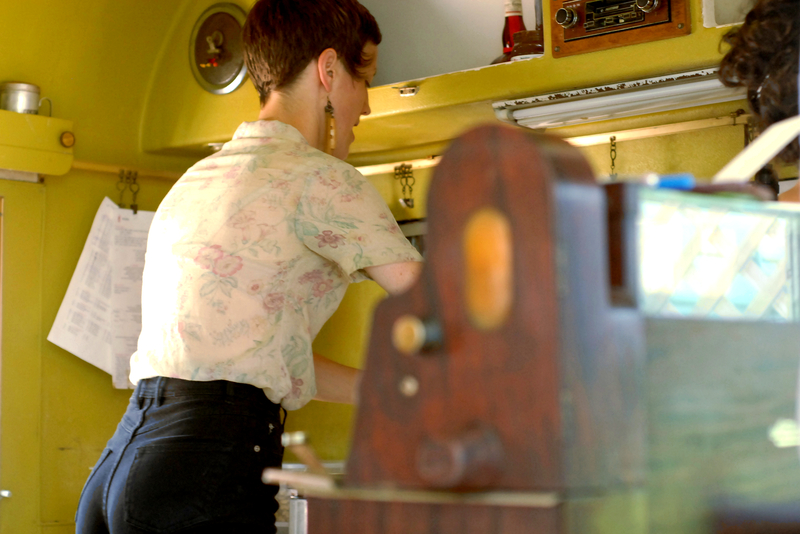 Here she is cooking in the airstream trailer they use as a kitchen. It was a hot Sunday and Sarah Codere and I stopped in after the Farmer's Market for more coffee, a salad and juicy conversation.